Kansas City Young Audiences will have its first permanent home in the 55-year history of the arts education nonprofit organization. The organization on Tuesday announced the purchase of a vacant midtown building at 3732 Main St. that formerly housed an OfficeMax store. 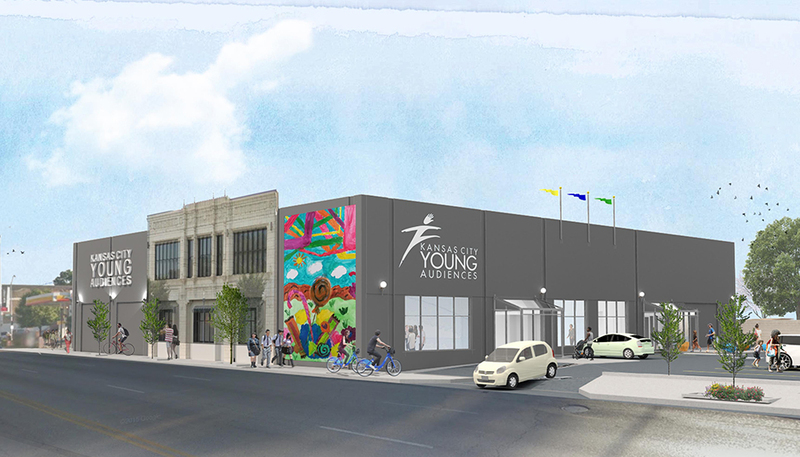 Kansas City Young Audiences plans to renovate the 18,000-square-foot building and move in at the end of this year. Renovation work on the approximately $3.1 million project is expected to begin in July. To support the project, Kansas City Young Audiences is kicking off a $3.5 million capital campaign this month. The organization said it has already received support including a $500,000 gift from the Muriel McBrien Kauffman Foundation, a $600,000 pledge from the Hall Family Foundation and a $200,000 challenge grant for the building renovation from the J.E. and L.E. Mabee Foundation. “At the end of the day, our goal is to have a completely renovated building that’s totally debt-free” and a building maintenance fund, said Martin English, executive director of the education group. For the last 12 years, Kansas City Young Audiences has been located on the campus of St. Teresa’s Academy. The organization said it began searching for a new home last year after learning that St. Teresa’s would not renew the lease because of the school’s own expansion. Kansas City Young Audiences was founded in 1961 to provide arts education programs in the Kansas City area. It partners with artists and arts organizations to offer a variety of programs to children throughout the area. Last year, more than 114,000 children participated in Kansas City Young Audiences programs. English said the building will house the offices of the 11-member staff and will also have dance studios, classrooms for art and theater classes, and a performance and event space for the organization’s Community School of the Arts after-school program. In 2015, about 1,100 students participated in those classes. The first acting, dance and music classes in the new building are expected to begin in early 2017, English said. He said the Main Street building was appealing because of its high visibility, central location for youth across the area, access to bus lines and the area’s ongoing renaissance as an arts and education hub. There are 12 schools and more than 13 arts organizations within 20 blocks of Kansas City Youth Audiences’ future home. “Because of this great central location, we hope this will be a place to bring educators together to work with artists through a one-on-one exchange of ideas,” English said. Helix Architecture + Design is leading the design on the building. McCownGordon Construction is the construction manager.